•UPDATE: Desrt Party's AUNT BABE wins the NYSS FITH Avenue Stakes at Aqueduct on 12/16/2017! 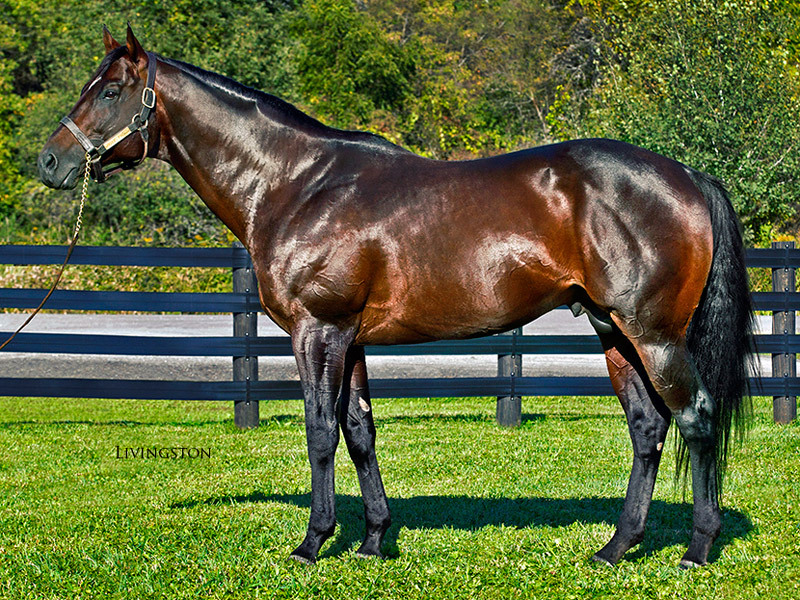 •A physically impressive $2.1 million two-year old purchased by agent John Ferguson. Group 3 winner SALAMA; black type winners MECKE'S MADALYN, HEART’S SONG, DESERT DYNAMO, PARTY POOPER, VALID DESERT, ROUSANNE and CAN’T HAPPEN HERE. •At 2 – Won the G2 Sanford at Saratoga impressively by 2 1/2 lengths. •At 3 – Was in a tremendous 3 race rivalry with Regal Ransom. DESERT PARTY won the first contest in a condition race by 1/2 a length, then again won the G3 UAE 2000 Guineas by 4 lengths, and finally was 2nd by 1/2 a length to Regal Ransom in the G2 UAE Derby. Then traveled to the United States where he was injured in th G1 Kentucky Derby. •At 4 – After a long lay off to recover from an injury sustained in the G1 Kentucky Derby he Won the G3 Mahab Al Shimaal. He finished his career by winning the Donald Levine Memorial Handicap. •Career record of 6-1-0 from 10 starts and earnings of $928,467. Aunt Babe by Desert Party unleashes an awesome stretch run to win the NYSS Fith Avenue Stakes at The Big A!